AARMAK Auditing and Consulting is a reputed firm based in Dubai, United Arab Emirates. Our firm was established in Dubai in 2005. 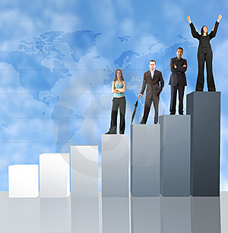 AARMAK is promoted by highly qualified, experienced and well known Audit and Finance Management professionals. Company professionals educated from US and UK. e.g Certified and Chartered Public accountants. Their experience expands over twenty five years in this domain. Our physical presence is in Dubai. However, our clients are in different parts of the Emirates and also from different parts of the world. We work closely with a network of professionals where we exchange our ideas to improve our knowledge, be informative about the business and to keep abreast with developments in accounting and the business world with the ultimate objective to serve our clients better. AARMAK Auditing and Consulting excels in offering wide variety of professional services in accounting and audit that include: statutory, internal and management audit and a host of financial consultancy services. The firm offers professional guidance that leverages formalities needed to set up businesses in the industrial, trade or services sector inside and outside the free zones in the UAE. We believe the foundation of good business practice is based on trust. We work closely with each and every client of ours to build a solid and professional working relationship. Clients benefit from our longstanding experience and expertise in their business and financial world. With the result, all our clients are long term customers and we have been able to oversee the growth of their businesses from mere ideas on a notepad right through to the formation of a successful company. We have Multi Nationals as well as locally incorporated clients, with diverse nature of business that is services oriented companies, trading and manufacturing .e.g. Manufacturing plastic stuffs, Trading, services, aviation, hotels, computer accessories assembly, construction, Oil formulation industry, consumer product manufacturing, to name some. Our team consists of well experienced professionals to cater our clients’ corporate requirements in a cost effective manner with client satisfaction.